Genesis 1 is at the top left; Genesis 50 is at the bottom left. Daniel 1 is at the top right; Daniel 12 is at the bottom right. The most-striking cross references between these two books, to me, involve Joseph’s interpretation of dreams in Genesis 40-41 and similar stories in Daniel. 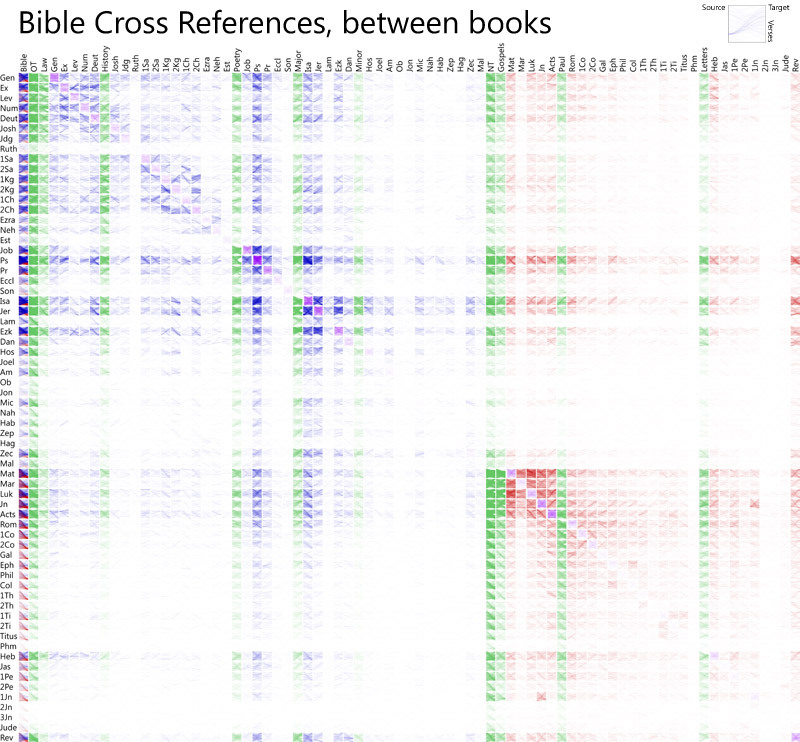 Also see a previous cross reference visualization. 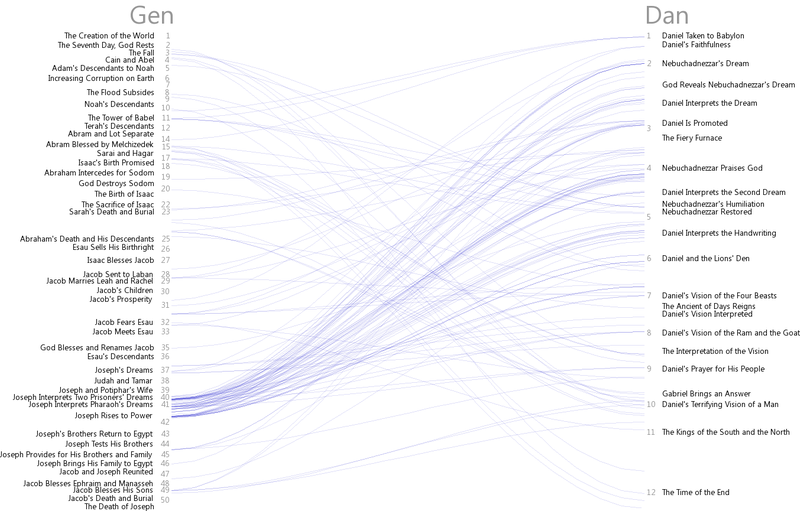 This entry was posted on Tuesday, February 7th, 2012 at 9:35 pm	and is filed under Cross References, Visualizations. You can follow any responses to this entry through the RSS 2.0 feed. Both comments and pings are currently closed. What do the colors (green, red, blue) represent? I’m guessing red is New Testament, blue is Old Testament, and green is a major division and perhaps purple is a reference within the same book? It appears that’s the pattern, but it’s not clear from the post. You’re correct about the colors. If you click through, the visualization is explained in somewhat more detail at the bottom of the page.